For those of you who have read my posts before, you know two things. (2) There’s not a whole lot to say when most of your blogging is about entertainment and culture. As much as I’d like to do weekly music or movie reviews, it’s not exactly feasible with a busy college student’s schedule. And I’d love to write pieces about Natalie Grant storming out of the Grammys and why I think it was a bit childish or why no one should really care why Justin Bieber got arrested. But I never have the time to sit around and fully form an opinion that I can flesh out in a blog post. However, the other day I had a revelation. I’m always wanting to share things that I love (music, film, television, literature), but I’ve never found a way to do it in a mass setting. So I’ve come up with the idea to start doing a “Best of” series month by month. It’ll give me a platform I can use to share all the things I’ve been loving the past month with all of you. At the same time, I can give some commentary on the subjects, something I enjoy doing very much. So hopefully you all enjoy my new (and hopefully permanent) addition to the site. And as always, I want to discuss this stuff with you guys, so feel free to comment here or on Facebook or wherever you prefer. It may be a bit early to judge given that it’s only a month into the new year, but I’ve been pretty disappointed by the lack of captivating and interesting releases to this point. 2013 was an incredible year for entertainment across the board, and music was one of the big highlights. I’m not saying 2014 won’t be equally as excellent, but it seems as if the year is off to a grinding start. The releases haven’t been short as artists like Switchfoot, James Vincent McMorrow and Young the Giant all released highly anticipated records. And while they were all fine, none of them grabbed my attention as potential EOTY list makers. If any of them would be, it’d be the rich Post Tropical from McMorrow, but I’ll have to give it some more time. 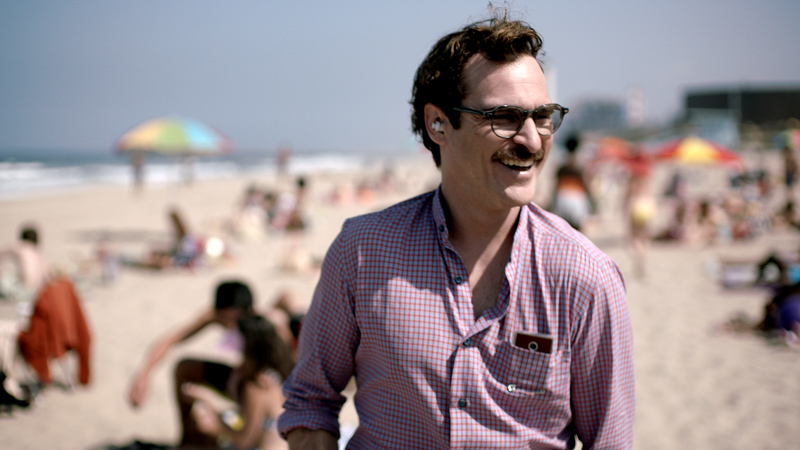 So instead I’ll say the best music of January was the official score of Spike Jonze’s incredible 2013 film, Her. The score, headed up by Arcade Fire and Owen Pallett, hasn’t been officially released as of yet, and there’s nowhere to find it online. However, an obscure YouTube account leaked it a few weeks ago, and I had the chance to listen a few times before it was taken down. I knew I loved it when I saw the film earlier this month, but the score confidently stands on its own. It’s an audible picture of loneliness and heartbreak and, just like the film it accompanies, it’s shockingly human. It should be no shock to anyone that movies in January generally aren’t very good. The road to the Academy Awards is front and center during the first portion of the year and, as a result, most movie stars would rather be campaigning for their films and performances than promoting new releases and projects. And cinephiles (like myself) are too swept up in Oscar fever to go out and see much of the new stuff. Also, filmmakers hoping to make some noise in the 2015 Oscars race don’t stand much of a chance when 12 months of film stands between them and the finish line. For these reasons, I’ll name two films that I’ve loved this month, one Best Picture nominee (I’m scrambling to get them all in before March 2) and one genuinely 2014 movie. For the Academy Award film, I’ll go with 12 Years a Slave, Steve McQueen’s raw portrait of Solomon Northup and his riches-to-slavery story. It won Best Picture – Drama at this year’s Golden Globes and looks to be a front-runner for the grand prize in March. Thanks to a chilling performance by Chitiwel Ejiofor and assured direction from McQueen, 12 Years a Slave is a film that sticks you from the get go and festers uncomfortably in your insides for upwards of two hours, forcing viewers to visually confront the atrocities of slavery. The other movie I’d recommend is Jack Ryan: Shadow Recruit. It’s been a while since Harrison Ford last brought Ryan to life, but really how long could Hollywood go without rebooting another action franchise? Fortunately, Chris Pine is up to his leading-man challenge and turns in a entertaining performance, surrounded by the sure-handed talents of Kevin Costner and Keira Knightley. 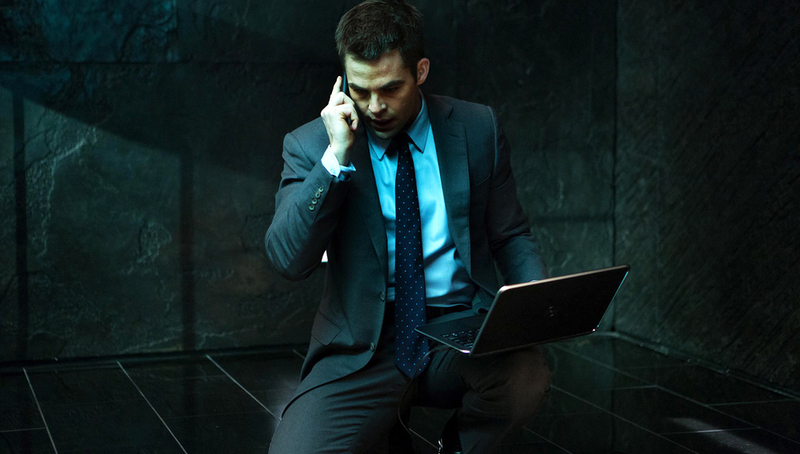 If you don’t like international espionage, spies and action-thrillers, Jack Ryan won’t turn you, but fans of the genre would be missing out if they didn’t catch this one. The medium that I’ve found a passionate love for in the past year is finally making its way into my writings. I’ve gone way back with film and music, but starting with my Breaking Bad post following last year’s finale, I’ve found a love for writing and reading about television, including predictions for finales, hidden themes and other little prizes that can be gleaned from a good show. I’ve been caught up with a few shows since the finale of Breaking Bad, and they’re shows that everyone needs to be watching. 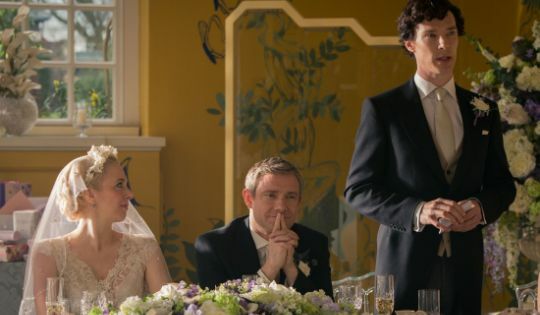 First, for those into British television, Sherlock has made an impressive return from it’s cliff-hanging ending of season (or should I call it series?) two, most notably in the second episode of the third season, The Sign of Three. It highlights all of the things that Sherlock fans love about the BBC’s adaption of the neurotic detective: an uncomfortable, yet endearing performance by Benedict Cumberbatch; Martin Freeman’s humanizing contrast to Cumberbatch’s Holmes; and a killer mystery. It was one of the strongest episodes for the show in what has been a spectacular three seasons thus far. I also can’t ignore the absolute bonkers season finale of Sleepy Hollow. I’ve been pretty crazy about this show since its premiere and, while showing signs of a team that is still growing with their concept, Sleepy Hollow has steadily transformed itself into one of the most entertaining shows currently running. With the combination of supernatural crime-fighting and excellent chemistry from the show’s two leads, Sleepy Hollow had become a regular part of my week until last week, when it turned in one of the most entertaining, spell-binding season finales I’ve seen in a long time. And that’s including Breaking Bad, guys. Start up on it now before it comes back this fall. And that’s Best of: January. See you in 28 days for February. Or before, when I write about something else. Thanks, y’all.